25 Years in business serving barrie and Toronto. A strong, closely-knit team in a family owned company, Hassey Property Group offers an in-depth understanding of commercial and residential real estate sales, marketing and management in Barrie, the GTA, and beyond, with direct access to the owners of the company. Comprising of Hassey Realty, Hassey Property Management and Hassey Development, for over 25 years, clients, customers, and partners alike have relied on Hassey Property Group to achieve the results they want. This is Barrie’s premiere mixed-use/multi residential complex located in Barrie’s south end. With 15,000 square feet of ground floor commercial space and 56 residential apartment units, this property allows for modern and convenient living a stone’s throw from the water. This innovative building is home to many great businesses that offer a variety of services to the fast growing south-end location off Big Bay Point Road. Professionally managed by Hassey Property Management for over 10 years and with over 200,000 built square feet of industrial space with more under construction, the King Street complex is rapidly becoming the desired hotspot for successful businesses. Conveniently located west of the 400 highway and easily accessible off Veteran’s Drive, the King Street complex offers various size units with light industrial zoning. These beautifully designed and unique buildings give businesses the opportunity of joining the expanding south end industrial area of Barrie while maintaining cost effective rents. Professionally managed by Hassey Property Management for more than 9 years, there is no other waterfront community like Nautica. Its elegant and unique design and stunningly gorgeous view of Kempenfelt Bay provide the Nautica community with a beautiful place to call home. Boasting two, 17 storey towers with over 300 residential units in total, this luxury style living community with its beautifully landscaped grounds, first class amenities and safe and secure building, is the most desirable waterfront property in Barrie. 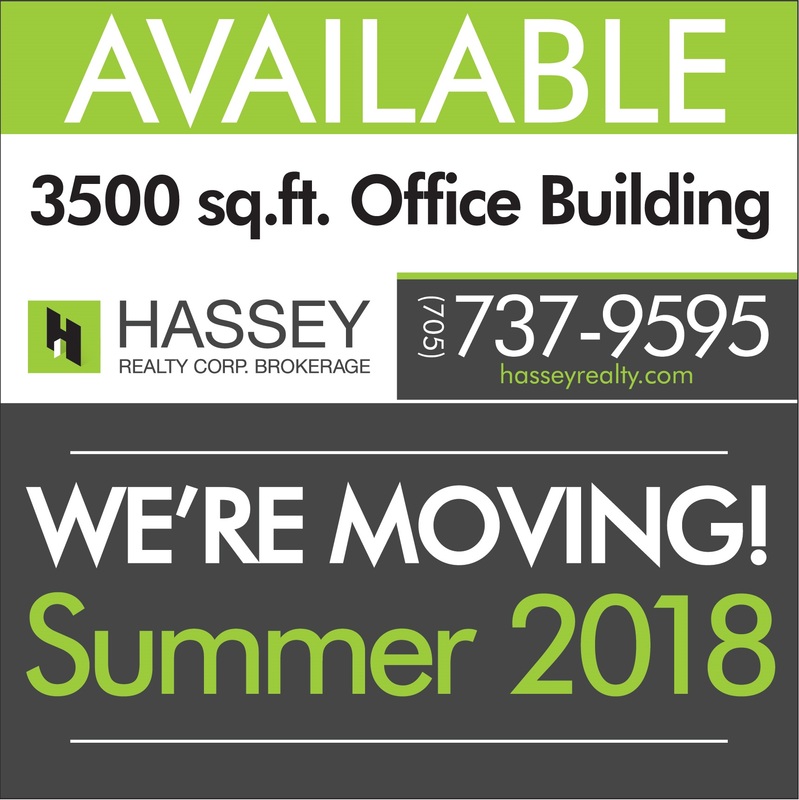 Hassey Property Group is moving!